Have you always wanted a dog but avoided getting one due to allergies and annoying pet odors? By purchasing an air cleaner that’s specially designed to tackle pet odor and smells, you can finally allow yourself to buy the dog or cat you always dreamed of. 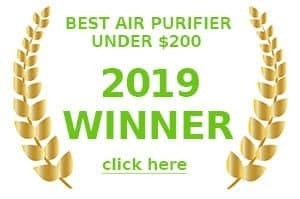 However, not all air purifiers are capable of dealing with this specific type of indoor air pollution, so let’s jump right into what I believe to be the best options for 2019. This air purifier is my top pick for people with pets since it has filter options specifically designed to deal with pet smells. Meanwhile, it has a very attractive design, works quietly, and can clean rooms up to 1100 square feet. When you buy an Alen air purifier, you have an option to choose between several HEPA filter add-ons: HEPA pure, HEPA silver, HEPA OdorCell, and HEPA FreshPlus. While HEPA pure is the cheapest option and can deal with many problems, the HEPA OdorCell is the tailored optional filter specifically designed to remove pet odors from the home. 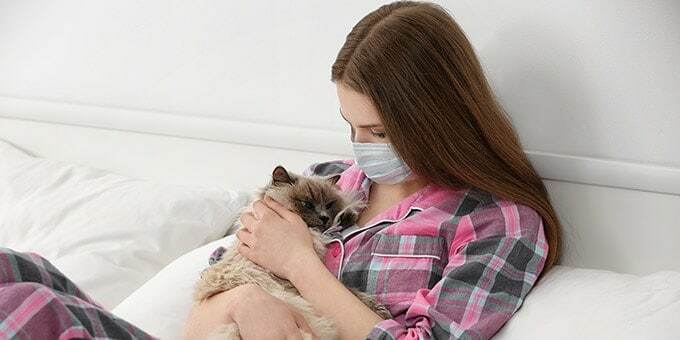 HEPA power: If you install a HEPA OdorCell filter, it will take care of 99.97% of harmful particles (including pet dander) 0.3 micron in diameter. Once the air passes through the HEPA material and all the pollutants are cleaned out, it goes deeper through a molecular conversion powder layer (patented by Alen), which takes care of the toughest pet smells. In return, you get fresh odor free air for your enjoyment. The unit is also equipped with a washable pre-filter to capture large particles and extend the life of your HEPA OdorCell filter. Ionizer: The unit comes with an optional ionizer, which charges the harmful particles to make the filter’s job easier. While the ionizer makes Alen a great air purifier for dog smells thanks to keeping the air very fresh, you can turn it off and on whenever you wish. The purifier is equipped with Smart technology, which allows you to maximize the filter’s lifespan and forget about monitoring the air quality. The sensor checks the air and adjusts the fan speed accordingly. The LED display shows you when it’s time to change the filters. The purifier is also equipped with a timer, making it easy for you to operate the unit and save energy when you are not at home. Overall, the Alen Breathsmart purifier is an ideal option for pet owners, who want to enjoy fresh air without the nasty smells that usually come with dog and cat ownership. It’s highly adjustable, quiet, well-designed, and easy to use. 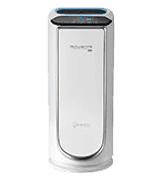 This air purifier caught my attention due to a powerful filtration system that’s excellent at expelling pet odors. While this purifier is somewhat pricey, it has a variety of useful options that pet owners can truly appreciate. Let’s take a closer look. Pre-filters:This unit has two pre-filters that deal with catching large particles, which makes it a great at capturing pet hair. One of them has a layer of silver particles that offer antimicrobial properties, which is a life-saver for households with pets that are constantly dragging in harmful particles from the outside the home. TrueHEPA: This filer deals with 99.97% of pollutants 0.3 microns in diameter, meaning most of the pet dander is caught at this stage. PetAllergy filter: Like the breathesmart, the Air minus 2 comes with a special add-on Pet filter. In fact, it’s one of the options you can choose from when you pick the secondary filter, which comes after the trueHEPA. This filter offers additional protection against pet smells in the house. Activated carbon filter: This filter is designed to tackle odors and smells exclusively. Which is one of the most important jobs for households with smelly pets. The built-in ionizer serves as an additional “pre-filter” helping make harmful particles heavier so the purifier has an easier time catching them. You choose whether you want the ionizer to run or not. The ionizer is not recommended for people with lung problems, even though it makes the air smell and feel fresher. This air purifier has two useful sensors. One of them signals the unit to start working faster when there is smoke in the air. The other one commands it to switch to the sleep mode once the lights go out. Unfortunately, this air cleaner doesn’t have an air quality sensor, which means you will have to monitor the air quality yourself. The Rabbit Air MinusA2 is a very quiet worker. People, who are light sleepers, can use the unit in their bedrooms as on normal settings it’s barely audible. At the same time, id say it’s got a very sleek design, so you can place it virtually anywhere in the room without detracting from your décor. You can even mount it on the wall. 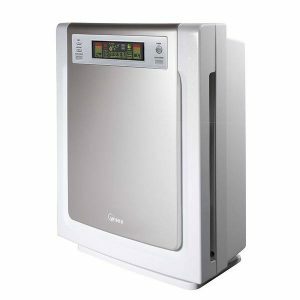 Overall, this is a wonderful air purifier for pet owners due to a powerful filtration system. It’s also quiet, very well designed, and easy to operate. The only serious downside, in my opinion, is the absence of an air quality sensor. This air purifier was specifically designed to deal with pet dander and smells exclusively . It has a 5-stage filtration system and smart sensors to make operation simple and enjoyable. Meanwhile, it’s rather quiet and has a reasonable price tag. TrueHEPA filter: This filter deals with 99.97% of pollutants, including pet dander, 0.3 microns in diameter. Silver mesh: This one has antimicrobial properties to help deal with harmful particles commonly found in households with pets. Carbon filter: This filter allows the Winix WAC9500 to be one of the best air purifiers for pet odors since it’s washable. You can clean it as often as you wish to make sure it’s always operating at it’s peak. PlasmaWave ionizer: The ionizer allows the air to smell fresh, making the unit a good air purifier for cat and dog smells, however, the ionizer is not always safe for users with lung problems. Thankfully, it’s optional. 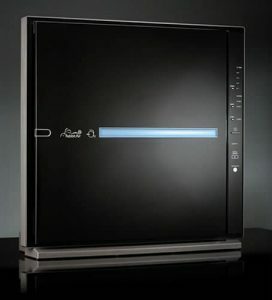 This air purifier seems to be packed with smart features making it very convenient to use. It comes with a remote control to help you adjust the options with just a few clicks. The air quality sensor adjusts the purifier’s operation to deal with the pollution levels in the room. An odor sensor is available as well. However, it doesn’t detect pet odors. It usually works for strong kitchen smells and smoke. 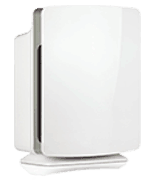 The air purifier is rather quiet, especially when on low fan settings so it can readily be used in bedrooms. It comes with a sleep mode as well, however, while it lowers the fan speed the lights don’t go completely off.The sensors tell you when it’s time to replace filters while the timer allows you to adjust the air purifier operation according to your schedule. 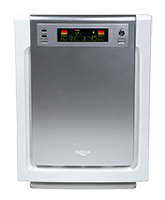 Overall, the Winix WAC9500 is a great air cleaner for pets and their owners. While it has all that you need to deal with pet dander and odors, its design leaves much to be desired. However, it comes with a moderate price tag and can be a suitable choice for pet owners with a tight budget. After studying the subject and reviewing many models, I can honestly say that the number one air purifier for pet smells is the Alen Breathesmart. 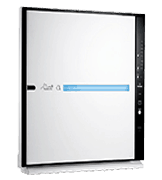 It has all the necessary features of a perfect dander-fighting unit when fitted with the optional HEPA Odor cell filter and it does the job whilst looking sleek and offering useful smart sensor options. 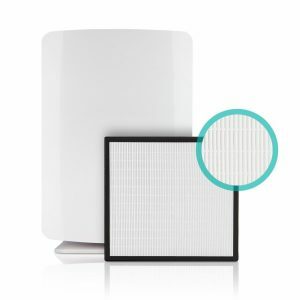 However, if like me you also suffer from regular allergies too, you might want to see if you can find an all-rounder purifier that has the filters to suit all your requirements. Cats and dogs like to Urinate on carpet sadly. Well, that’s how it seems anyway. Either way, through pet ownership, you’re going to have to deal with pet urine on carpet and whilst an air purifier can handle many different pet odors in the home, in many cases you will also have to tackle the root cause of the odor and dealing with cat pee in carpet is most certainly one of those times. Getting hold of a vacuum with added shampooing ability seriously helps in these situations. If you don’t have one, I would suggest buying one and using it first before moving onto step 2. Not a must have, but will most definitely help. Next, grab some dish washing liquid from the kitchen. Mix half a teespoon with a small cup of hot water. Just be very careful that whatever detergent you use, it does not contain bleach, that’s why i say use dish soap as usually it’s safe to use on fabric and carpet. Then, you need to dab the solution onto the carpet using a wash cloth. Don’t rub, just dab it on generously. After this, get another cup of hot water, but this time don’t add anything to it. You now need to pour all of the water onto the area of carpet you’re working on in order to rinse out the solution. Next, grab some sponges or absorbent cloths and soak up as much of the water as you can. If you still see any left over residue from the soap, you need to go back and repeat the last step and rinse the carpet out some more. Finally, if you have some ammonia in the house, pour on about two tablespoons worth onto the stained area and dab it in. When you’re done, go back to sponging the area to remove as much of the dampness as you can.